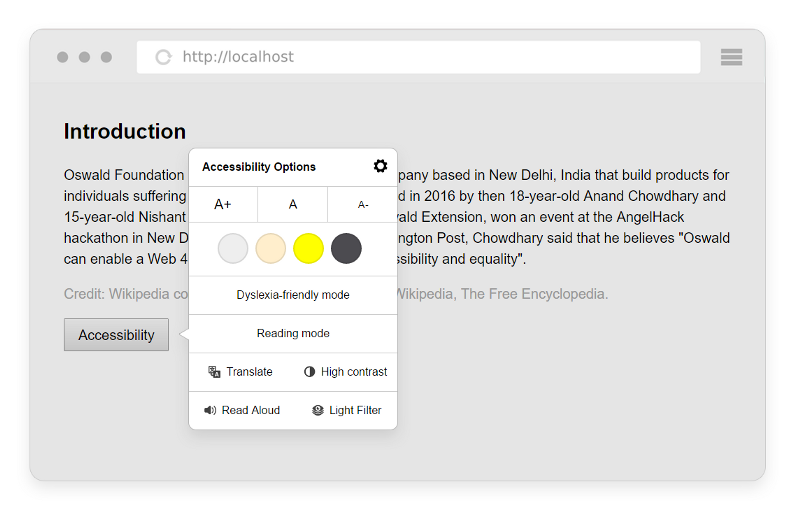 Add accessibility features in one line of code. Served from a global CDN. 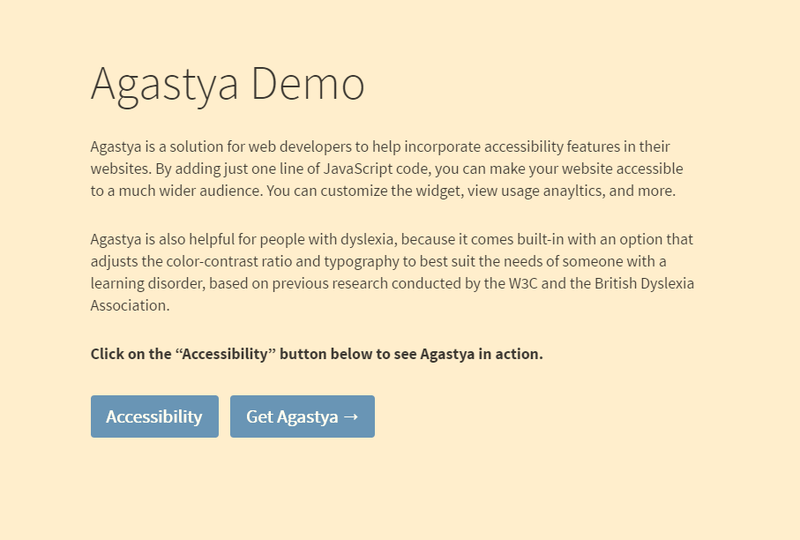 Agastya is also helpful for people with dyslexia, because it comes built-in with an option that adjusts the color-contrast ratio and typography to best suit the needs of someone with a learning disorder, based on previous research conducted by the W3C and the British Dyslexia Association. The subtle shift to a sepia theme decreases the stark contrast of bright white light on black text that can strain the eyes, and is recommended for reading for longer durations due to lower screen luminescence. White-on-black works best in conditions where there is very little light or no light at all. It doesn’t project the bright light to the eyes and the text is easier to read without putting extra effort on eyelids. It also inverts other visual elements. 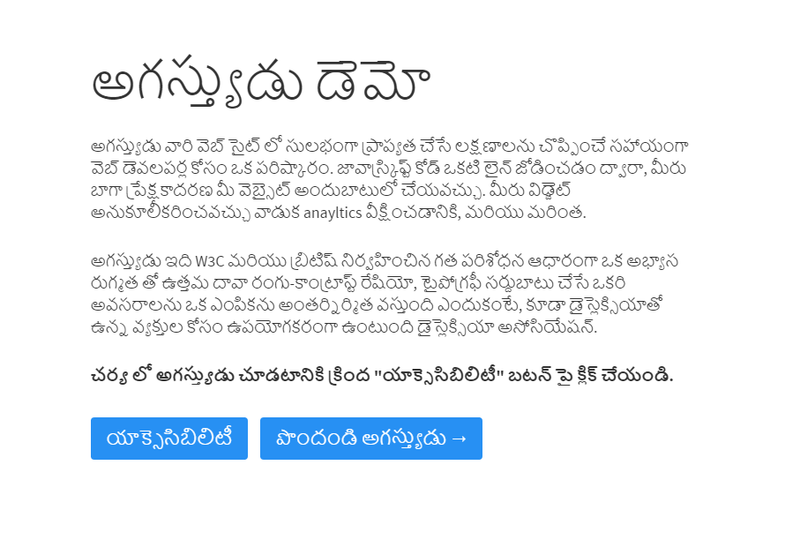 What if your website’s content was available in all languages? 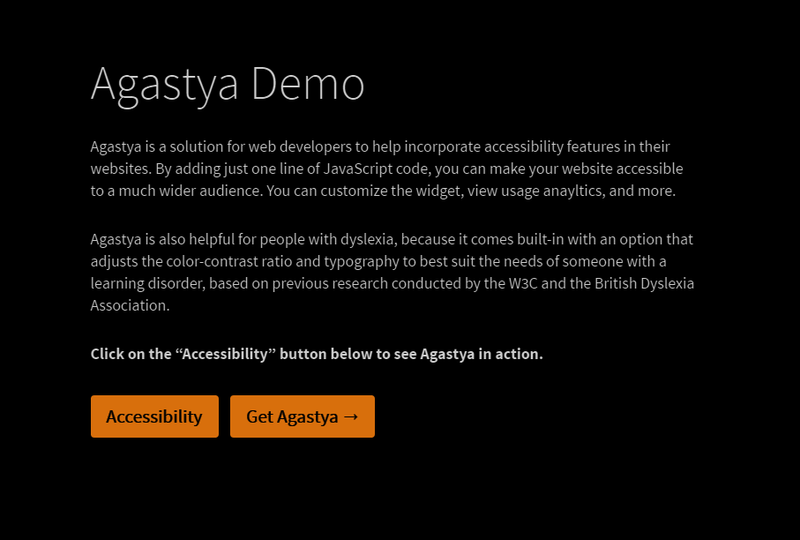 Agastya comes built-in with Google Translate, so your website’s content is accessible to everyone, regardless of the language they can read in. 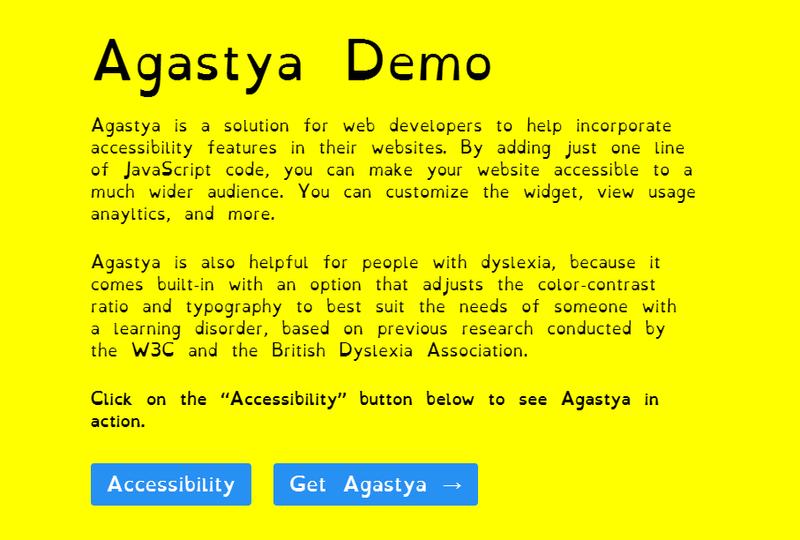 It adjusts the color-contrast ratio and typography (to Open Dyslexic) to best suit the needs of someone with a learning disorder, based on previous research conducted by the W3C and the British Dyslexia Association. For larger plans, contact us.